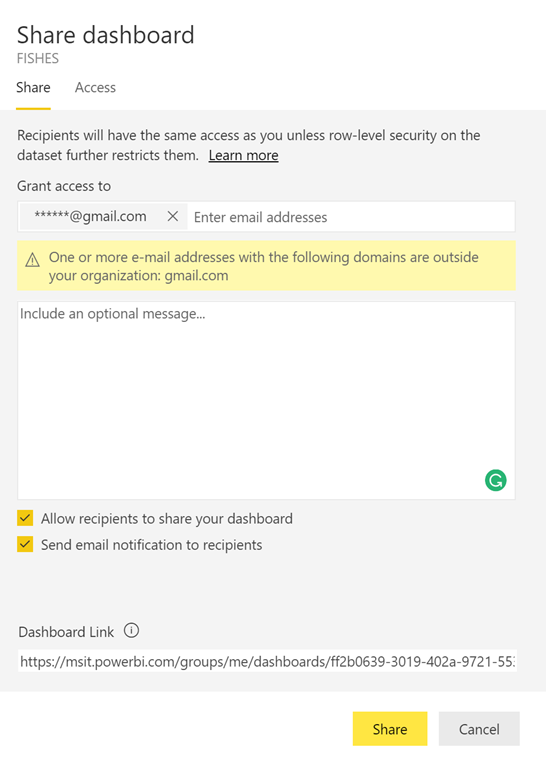 I’m excited to announce the ability to share content with users using their personal email accounts, making it easier to share data with people outside of your organization. Previously, you could only share content to other users with work email addresses. This can be useful in many situations. For example, if you’re a service provider such as a financial planner, you often need to securely provide your clients reports and dashboards. 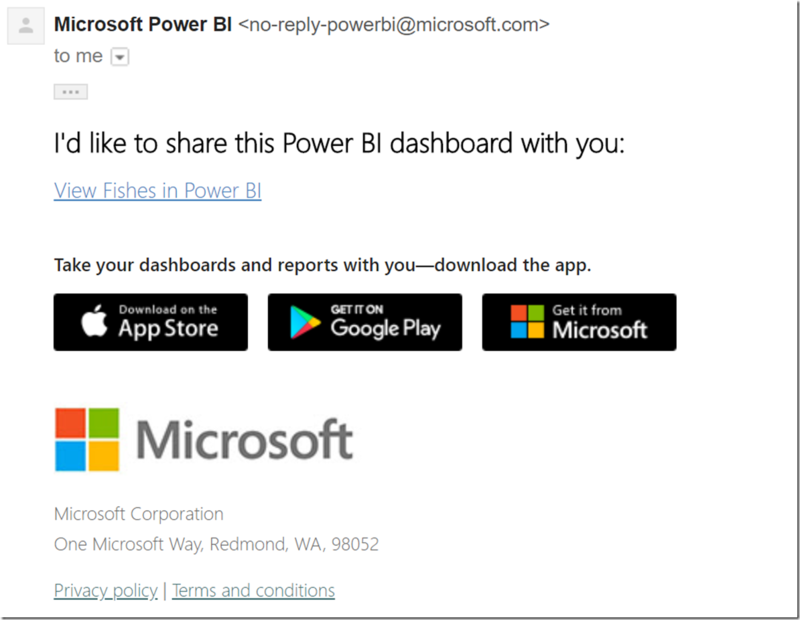 Sometimes your clients prefer to use personal email addresses, like Outlook.com or Gmail, and now you can share to those people with Power BI. To invite someone, simply enter their email address in the Share pane. 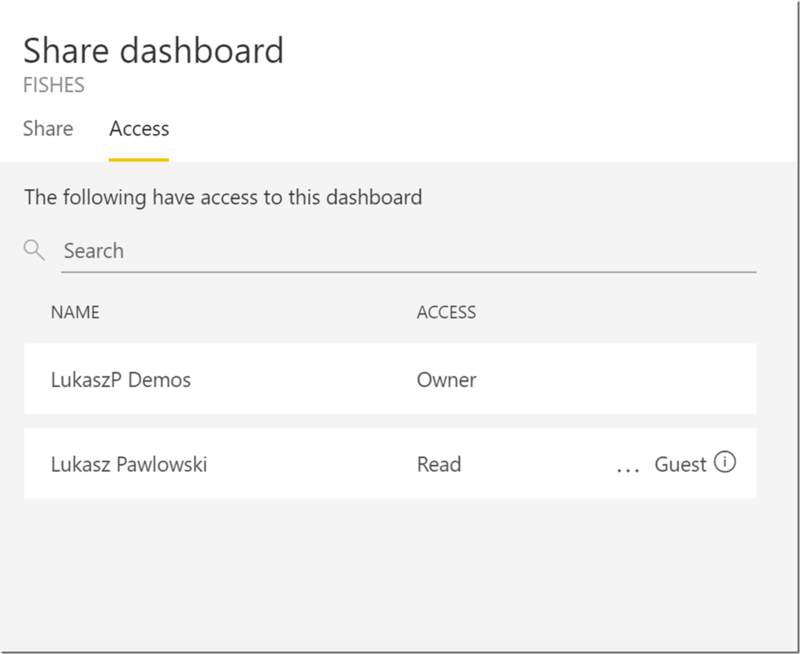 When you select Share, they'll get an invite to join your organization as a guest user. On the Access tab, you’ll see them listed. After the user accepts the invite, you will see them marked as a guest in the access list. 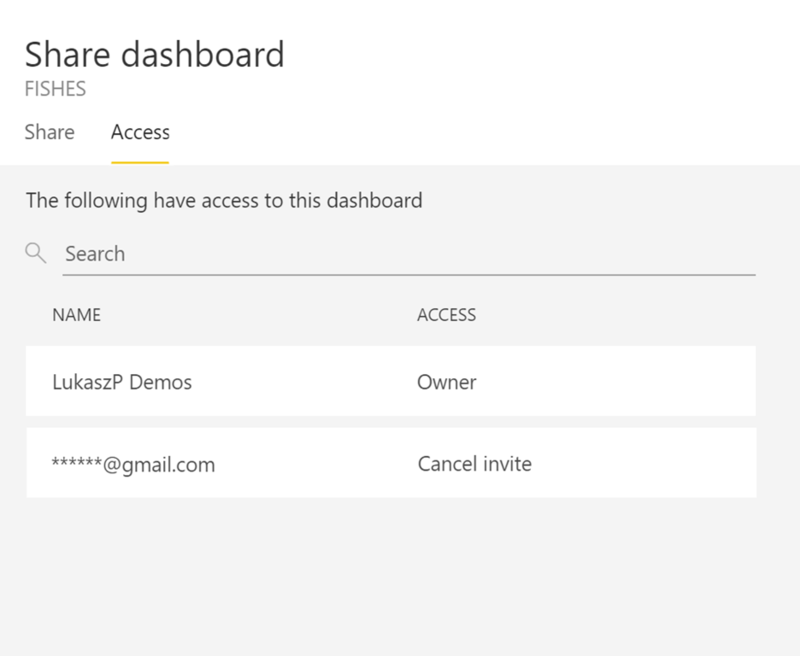 For apps, you add the personal email account into the Permissions list on the Access tab. An invite email is sent to the provided email address. The recipient needs to be in your organization’s Azure Active Directory (AAD). If the recipient isn’t in AAD, they’ll be prompted to create an AAD account. A quick instructional video is available to help them. 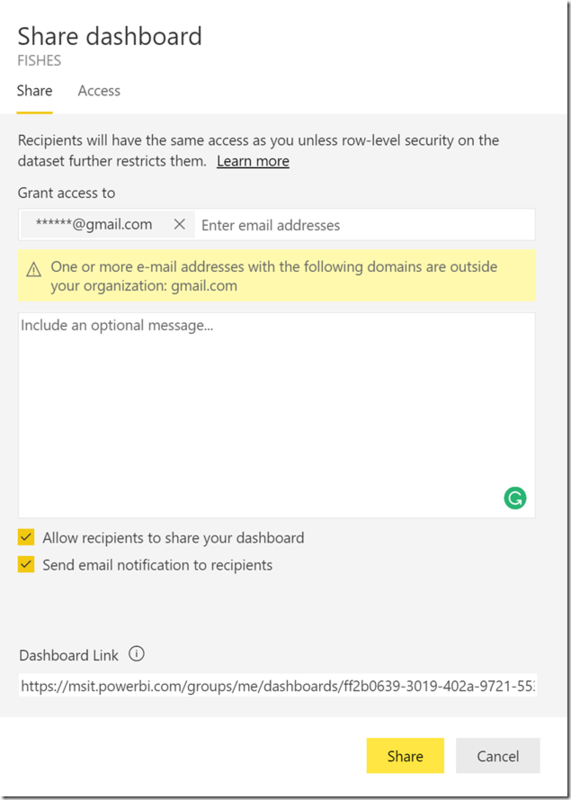 Sharing with personal email works just like external sharing with Azure B2B to organizations. You’ll either need to put the content in a Premium capacity or assign a Power BI Pro license so the user can consume the content. More details are provided in our documentation. Can I sign-up for Power BI with a personal email address? No, this hasn’t changed. However, it’s easy to start a business account by signing up for a free trial of Office 365.